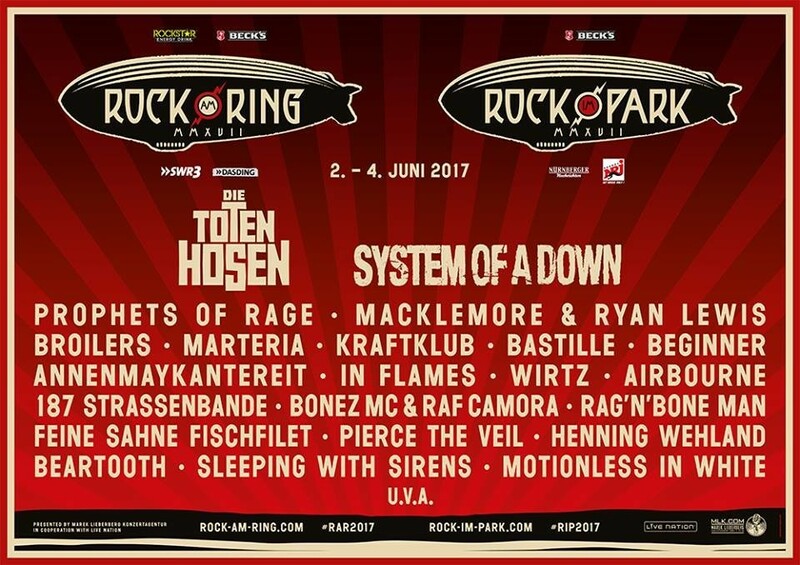 Sleeping With Sirens, Pierce The Veil + loads more bands have been announced for 2017's Rock Am Ring and Rock Im Park festivals. The festivals will take place from June 02 - 04, 2017, in Germany. Rock Am Ring is located in Mendig, while Rock Im Park happens in Nuremberg. Here's the latest poster. 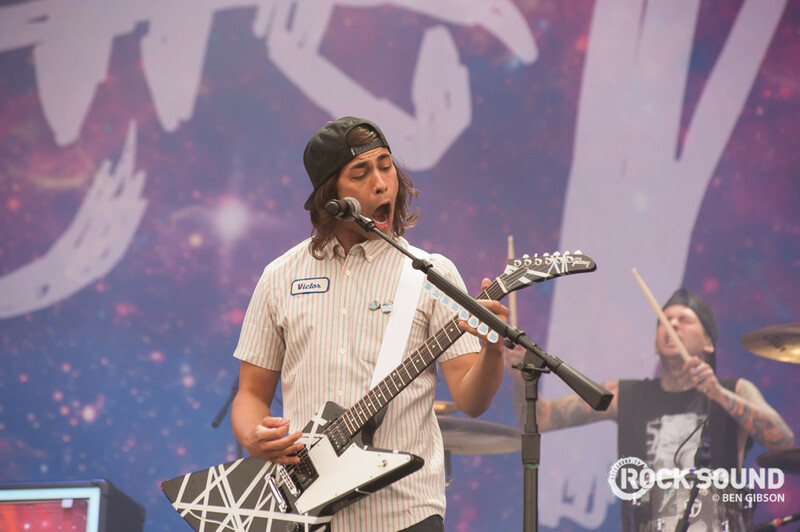 For a chance to meet Pierce The Veil, win two tickets to their UK tour and a Ernie Ball Music Man Stingray bass, take part in the Rock Sound Reader's Survey! Here are those tour dates - also featuring letlive. and Creeper.